A study by academics at the University of London showed that migrants contribute vastly more in tax than they claim in benefits. Up to 2011, migrants from the EU contributed 34% more in tax than they claimed in benefits. Migrants from outside the EU contributed 2% more. 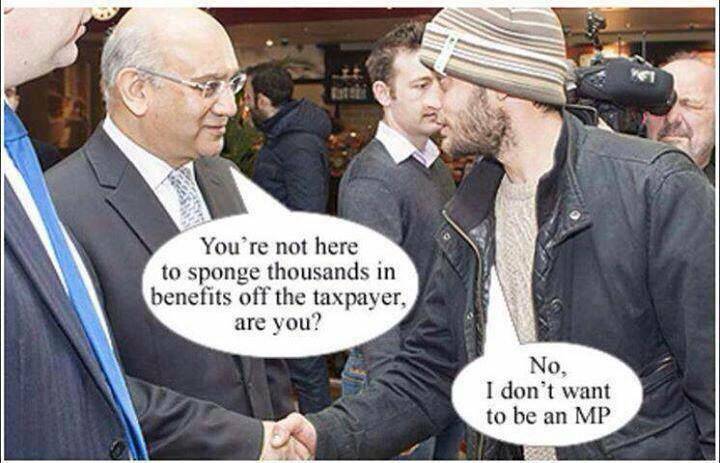 “Benefits tourism” is a right-wing, anti-migrant myth. The idea that Britain is “full up” is also somewhat complicated by the fact that, according to the government’s own figures, more than 700,000 homes in Britain stand empty, including nearly 300,000 which have been empty for more than six months. Data collected by the Ipsos MORI polling organisation in December 2013 found that “race relations/immigration” was the second most important issue for respondents, with 37% citing it as their main concern (“the economy” topped the poll at 39%). Of course — polls aren’t entirely reliable, and their outcomes can be manipulated or distorted depending on how a question is phrased. But, those qualifiers aside, it doesn’t take a statistical genius to conclude that the disproportionate, and disproportionately negative, focus on immigration in the media is contributing to people’s concerns. The media, whose owners make up part of the bosses class, help set the agenda for their friends in political parties to make increasing severe policies more palatable. And its not just immigrants that face these attacks. Channel 4′s “Benefit Street” is one such programme that apparently attempts to portray the struggles of those on benefits in the face of adversity in a positive light, whilst systematically reinforcing the most vicious stereotypes of unemployed people, the result being another moral panic that reinforces the dominant policy of all major parties for the need to tackle the growing benefits costs and to call an end to “entitlement culture” that is apparently the cause of it. The media shapes public opinion, even if that opinion is formed by our own experiences, it is manipulated into worst case scenario knee jerk soundbites, constant and all pervasive, until what we think on an issue is so influenced by the arguments we are spoon fed, that a process of de-indoctrination is needed just to gain some clarity on what is actually happening. A recent study, again by Ipsos MORI, illustrates how our perceptions do not match reality. It is precisely this that politicians and their far-right cheerleaders utilise to distort and mis-inform large parts of the populations into believing, accepting and supporting government policies. Working-class people in Britain are right to be concerned about the lack of affordable housing, low wages, and the strain faced by our public services. But migrants (on whose labour our essential public services often rely) are not to blame for those problems as migrants are not in control of rents, wages or public sector spending. Employers, landlords and the government which represents their interests are. Therefore it is where any struggle that hopes to challenge this situation needs to target – not migrants, not minorities, not muslims, romanians or bulgarians but those that are actually in control. Politicians of all three mainstream parties compete to see who can best pander to anti-migrant sentiment. Their rhetoric is cynical vote-grabbing; savvy Tories, Lib Dems, and New Labourites know that stopping immigration is neither desirable nor possible. Even on capitalist terms, Britain’s economy needs immigrants. But politicians play up to, and help reinforce, fears about immigration in order to bolster their support and to keep working-class voters from turning on the real enemy: the capitalist parties and their policies. Working-class anti-racists should fight to build social solidarity between migrant and local workers, organising together in unions and community campaigns to fight for jobs, homes, and decent services for all. The 3 Cosas Campaign is one recent campaign whereby a largely migrant work force co-ordinated and built links with non-migrant workers and students in Bloomsbury, Central London to build up the necessary structures to start winning real material gains. In turn, the workers of 3 Cosas regular support the struggles of students for a free education amongst the other struggles in that area. This is class unity, this is working class struggle. When we talk about working class anti-racism, its not a meaningless label that we tag on – it is a fundamental, practical and effective means to win, to respond to the divide and rule of bosses in a way which undermines their ability to play one set of workers off with another. It is a means to recognise the interconnectedness of struggles and how they relate to wider workers struggles. Bosses attempt by any means necessary to prevent any form of collective action, where the media and politicians provide the social and political climate for such divisions to exist even before any struggles emerge. Thats why as militant anti-fascists, we are also committed working class anti-racists, as we believe one without the other means with can be neither. 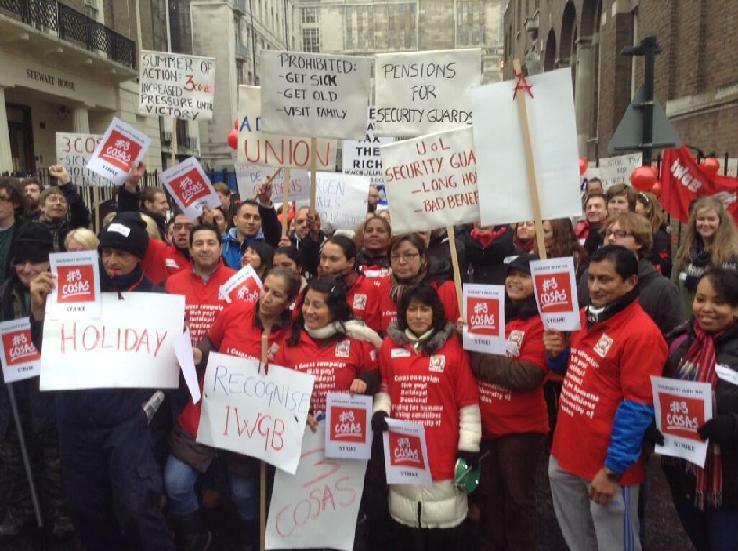 3 Cosas are on strike on 27, 28 and 29 January 2014 please consider attending their picket lines during those days. Also consider donating money to their strike fund.